The Natural Way is not just a weight loss clinic – we are dedicated to making sure you keep your weight off too! So many times, those wanting to lose weight will go on a ‘diet’ and lose a stack of weight, only to put it back on again once their normal eating habits are resumed. Not at The Natural Way – we are proud that our weight loss clients have the opportunity to keep their weight off forever by offering an effective, FREE maintenance program. 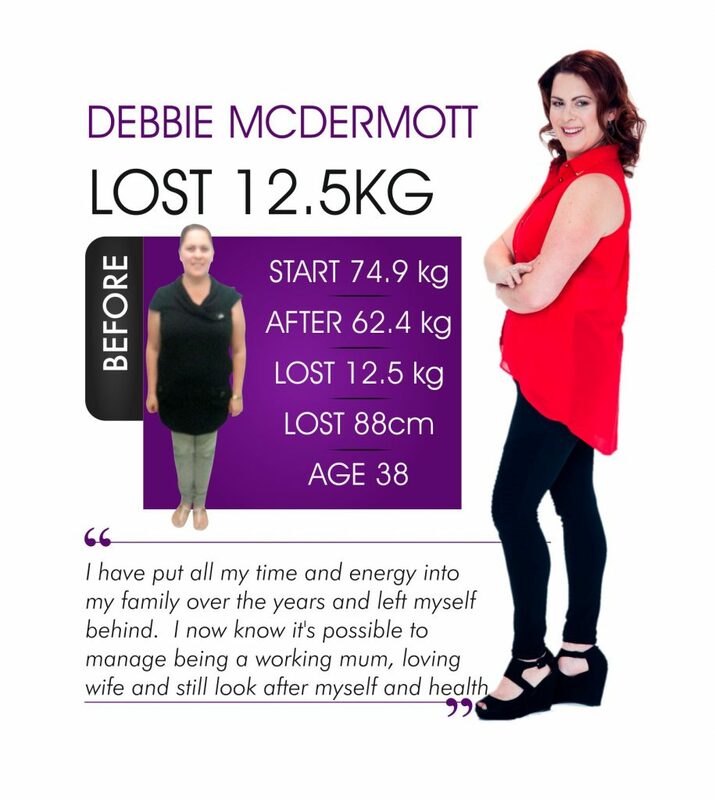 Take Debbie Mc Dermott, our Slimmer Celebration winner for 2017 – she reached her goal weight at The Natural Way Gold Coast clinic just over 12 months ago. Since that day, she has successfully kept her weight off simply by ensuring she never misses her FREE monthly maintenance appointment at The Natural Way. Debbie is a busy, full-time working mother who decided in early 2017 that she needed to lose weight so she could enjoy life more and ensure that she would be around when her kids grew up. She vowed from day one of her weight loss journey that she would never let her weight ‘get away’ from her again: and this promise to herself is one she is definitely keeping. Debbie has no intention of ever going back to her ‘old self’. If you are sick of ‘fad dieting’ and then regaining all of your lost weight time and time again then you need to come and see The Natural Way. We will not only teach you HOW to lose weight but you will learn how to keep it off. NO MORE YO-YO DIETING! Phone The Natural Way on 1300 SLIMMER (1300 754663) TODAY to make a FREE appointment to find out more about our lifestyle-friendly program.